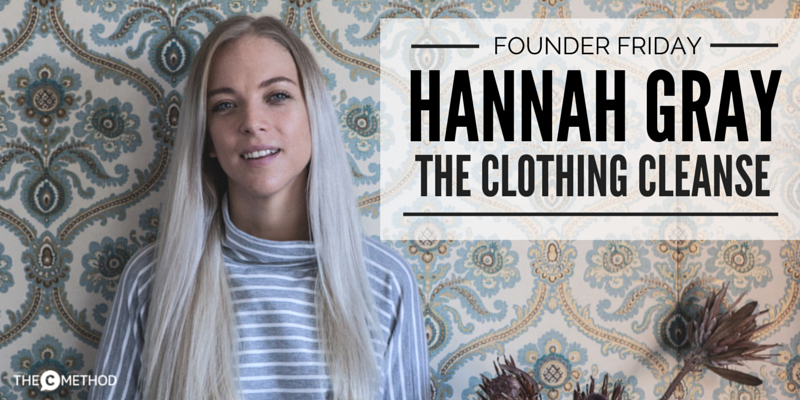 Meet Hannah Gray, passionate founder of The Clothing Cleanse. 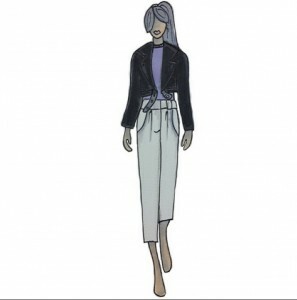 With many years under her (ahem) belt as a stylist, designer and buyer in the fashion industry, Hannah loves helping people discover their “personal uniform” – and become confident in their own style and way they dress. She started The Clothing Cleanse because she wanted to help people feel good about themselves and the clothes they already have – instead of feeling the perpetual need to buy more and more. She sees herself as an “antidote to the disposable fast fashion culture” – instead of encouraging people to follow what’s ‘hot this week’, she helps people find their own unique style and wear their existing clothes with pride and confidence. She is also passionate about educating people about sustainable fashion, and showing them that “ethical” clothing isn’t just about wearing brown hemp. She encourages people to consider where and how their clothes are made, how much they really need, and to donate old clothes instead of dumping them. One of Hannah’s beautiful sketches. Click to see more on Insta! I guess most people would call her a ‘wardrobe stylist’, then? Friendly and un-intimidating wardrobe advice? Me likey. How does a Clothing Cleanse work? I was very keen to get Hannah’s advice on my wardrobe – while I don’t consider myself a total spaz when it comes to dressing myself, 6 months of tripping around the world in the same 3 outfits had somewhat hindered my ability to style myself ‘professionally’. 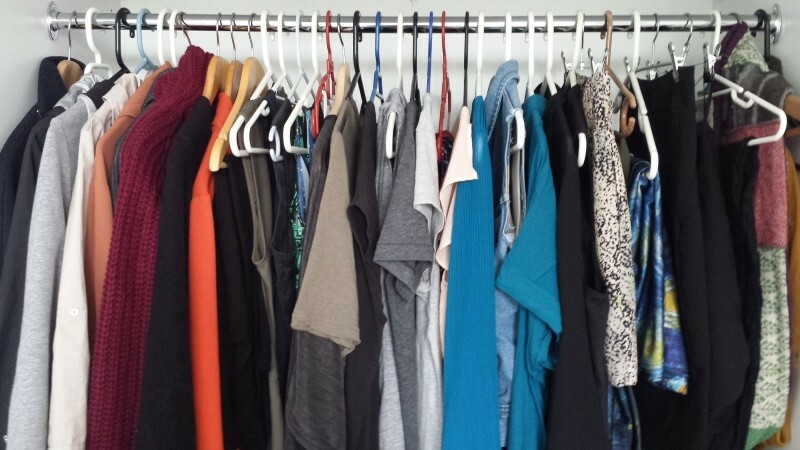 I needed to figure out my ‘work uniform’ – polished and professional, but not corporate. Hannah started off by laying out each item of clothing on my bed. Once we eliminated all my old work skirts and shirts that were no longer ‘me’ (yes you, frilly blouse), she created outfits from my existing clothes – outfits I hadn’t even considered before. She then suggested I add a few key items to ‘pull together’ all my existing pieces and create even more outfits. After our session, she sent me notes of the outfits we discussed, as well as image examples of the additional items I needed. How awesome is that! My post-cleanse collection. Life just seems so much simpler with an organised wardrobe! Apart from taking the stress and confusion out of shopping trips, I ask Hannah what else her clients get from a Clothing Cleanse. “Day to day simplicity in getting dressed,” she says. “They have outfits ready to go. So if you’re going through some big changes and want a fresh start – maybe you’ve lost weight, or you’ve just had a baby, or changed jobs or gone through a breakup or maybe you just find yourself buying the same damn things over and over because it’s easier to just buy something new than rummage through your overflowing wardrobe…. …it’s time to call Hannah. If you want to buy ethical, simply buy Australian made brands. You’re already removing the carbon miles and cost of importing, and the clothes are of a higher quality. Which means they last longer, so you buy less! Hooray! Want to do your own Clothing Cleanse? Be truly honest with yourself when eliminating clothes, and be ruthless. Think about if you’ve worn something in the last year. And if not, why? Why did you buy it? Make a note of buying behavioural patterns.